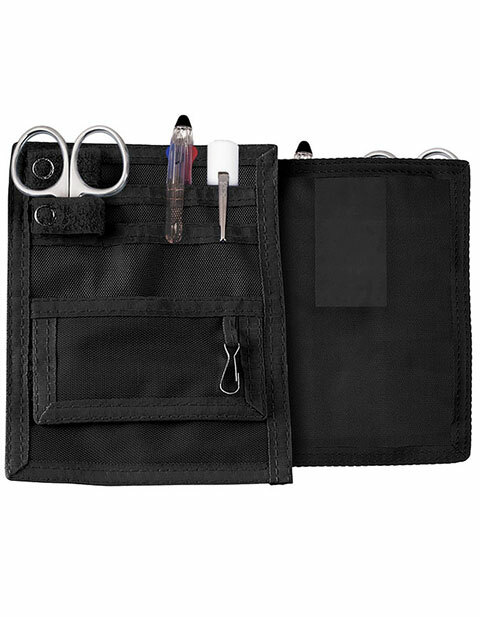 Organize your stuff with this Belt Loop Organizer Kit by Prestige. It features four front pockets, including a velcro-closure coin pocket, key chain clip and matching color Velcro tabs to secure instruments. Belt loop on the back fits most belts. It also has a 5.5 inches lister bandage scissor, disposable penlight and 3-color chart pen.